Ji Lee's work goes from creating advertising content for the likes of Cheerios and Tylenol, to deconstructing similar content with his Bubble Project. Until recently, I was only aware of the Bubble Project work and wasn't aware of the advertising he helped create. It seems more and more artists these days are traversing this slippery slope, creating incisive commentary on our consumer culture and lack of individual voice in the public, while creating ad content at the same time. I'm not so opposed to this, though fighting against advertising in the public becomes difficult when you produce public advertising as well. Luckily, the only example I've found by Mr. Lee of creating outdoor advertising content is this amazing 2008 campaign for The New Museum. This project would not have worked anywhere but outside. 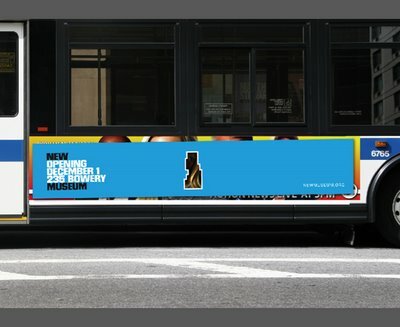 Not only does the New Museum Advertisement erase countless ads but it builds a visual understanding so that you see this actually happening. 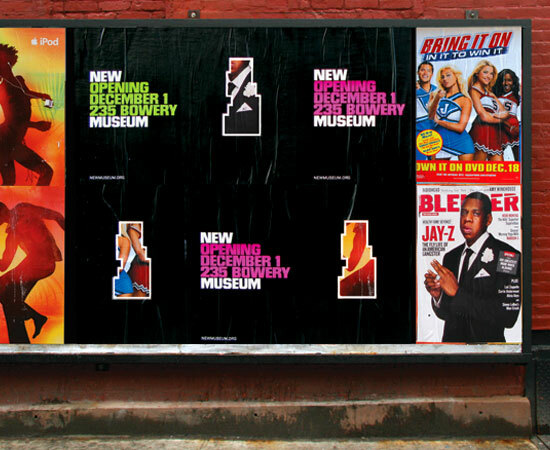 The new museum poster is at once the two images and yet you are reminded of what the top images has obliterated. 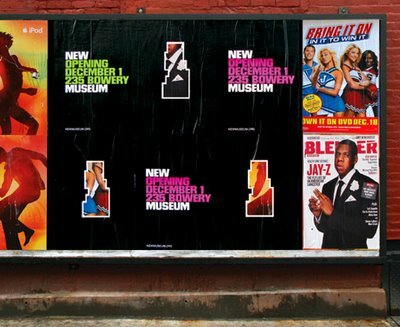 It's a tiny stroke of genius and I wish more indicative of what the New Museum has to offer.